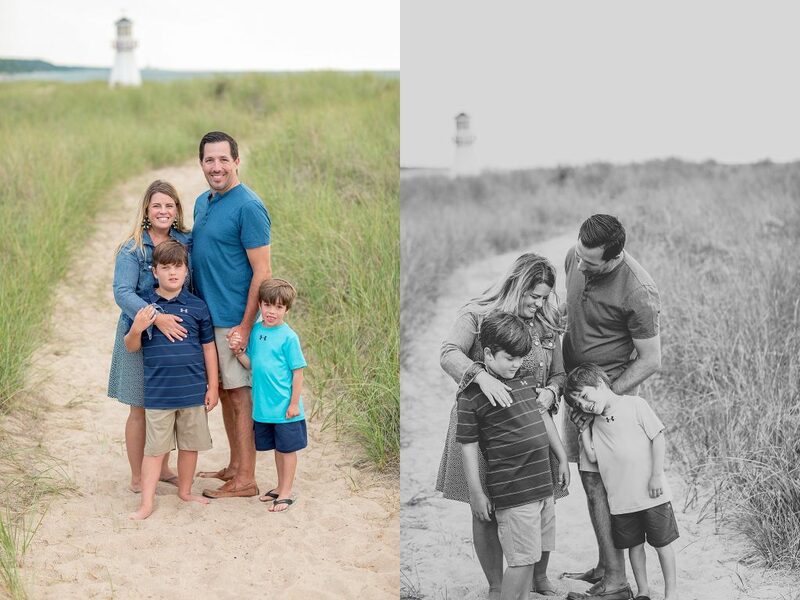 When Erin contacted me looking for a photographer to document their vacationing family, my heart swooned. 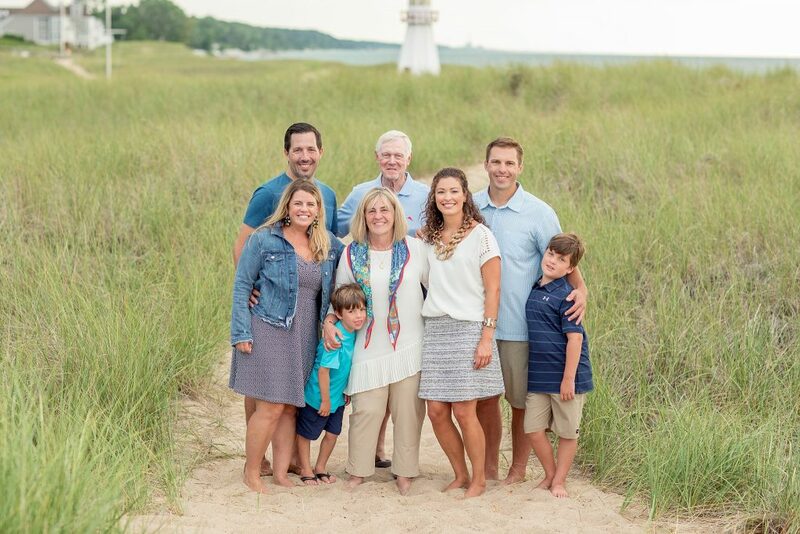 This wasn’t just an ordinary family traveling to a beautiful place to vacation. 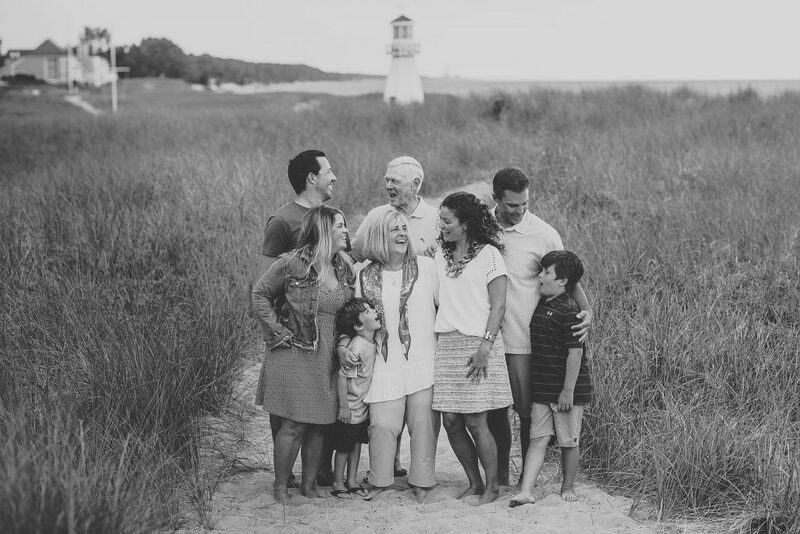 This was a family of 3 generations, visiting an area that was rooted deep in their family. 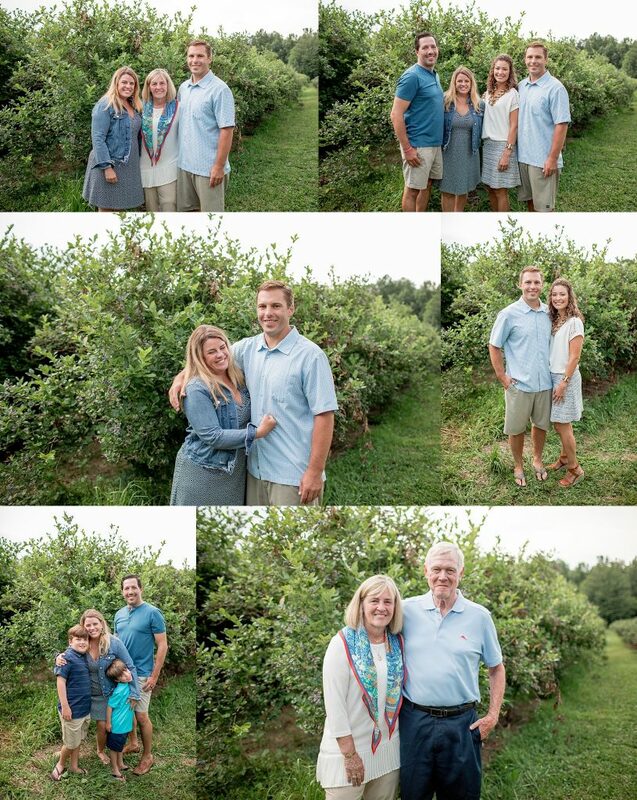 While they took advantage of all the amazing things that New Buffalo has to offer, they also wanted to visit one of the local blueberry farms; the farm where her grandfather had planted blueberries, and the place that held many memories for her mother. 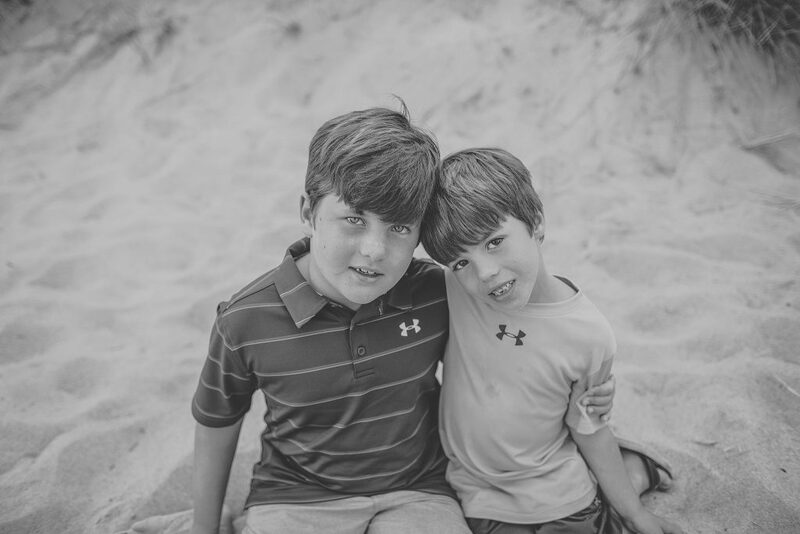 We started our session at the blueberry farm, and ended our time just down the road, tucked into the dunes! So many beautiful places in a short distance; one of the things I love so much about this area. It always amazes me to hear stories from the people I meet. We get so accustomed to routine and familiar places that we don’t always realize the impact those places have on people’s lives. I have passed this particular blueberry farm hundreds of times. Every time I pass it, I always think how beautiful the buildings are, how great it would be to have a wedding on this property, what it might have looked like when it was first built, etc. I am very much a dreamer, and my mind fills in a lot of “what if” stories with ease. I can’t tell you how special it was to have an opportunity to hear stories that actually did happen, and be able to see how special this place was for Erin’s mom. 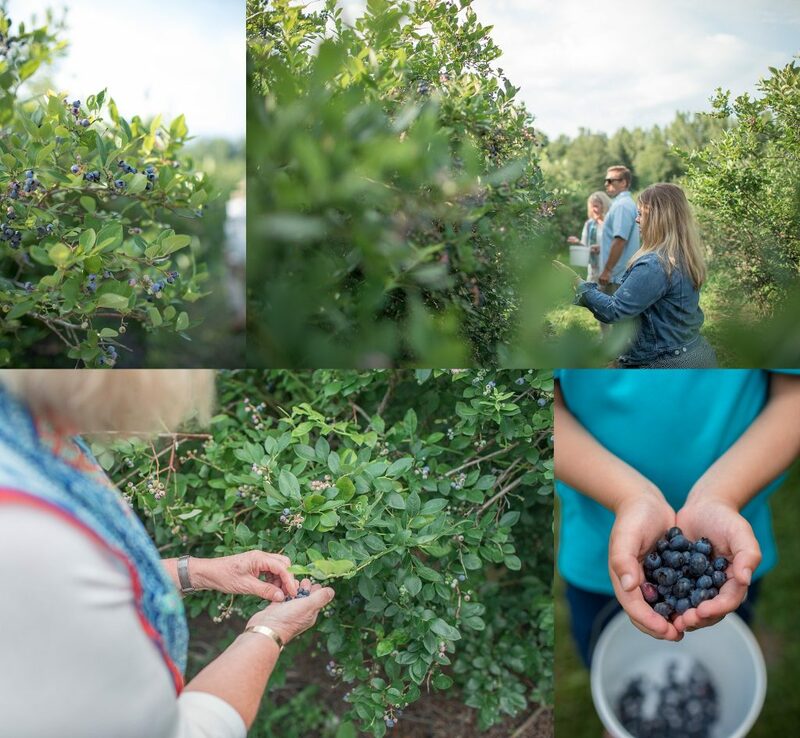 And to pick blueberries from a plant that your grandfather planted decades ago?! COME ON!!! Talk about a special moment!